Getting involved is one of the great ways to show your support and join the movement. 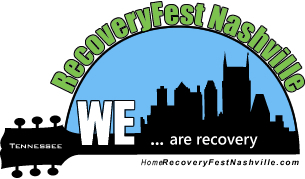 RecoveryFest Nashville would welcome your participation as a Vendor. If you would like to reserve a space for your booth or tent, please download and fill out the Vendor Application Form below and send it to us along with the vendor fee in order to reserve your space. 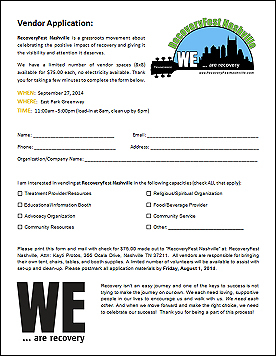 Thank you in advance from all of us at RecoveryFest Nashville. to make it convenient for our vendors to find booth locations.